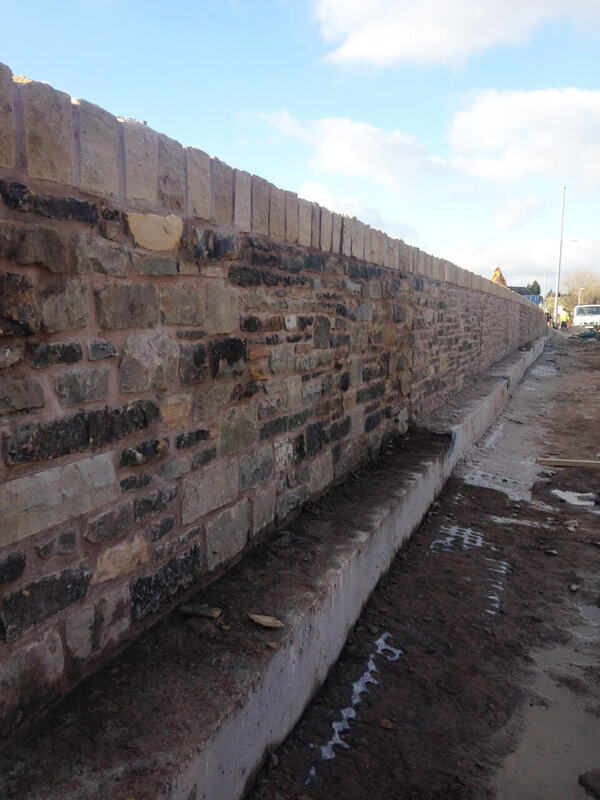 Lyons Stonework was brought in as a specialist masonry subcontractor to take down and rebuild a roadside retaining wall working in with the Civil Engineering main contractor on the scheme. 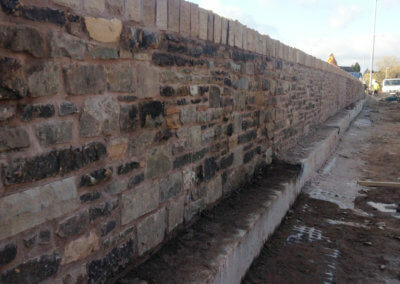 The retaining wall incorporated approx 600m2 of masonry and was built up to a new mass concrete retaining wall with increased parapet wall for pedestrian safety. 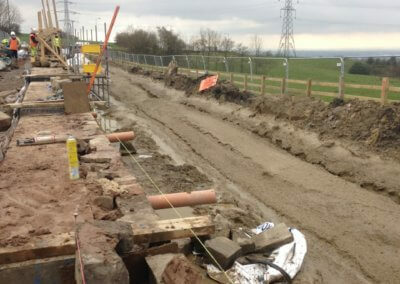 The works were carried out under traffic management/contraflow and ran over 20 weeks. The nature of the site and issues with land drains made for difficult conditions which we worked to mitigate with the Civils Contractor. 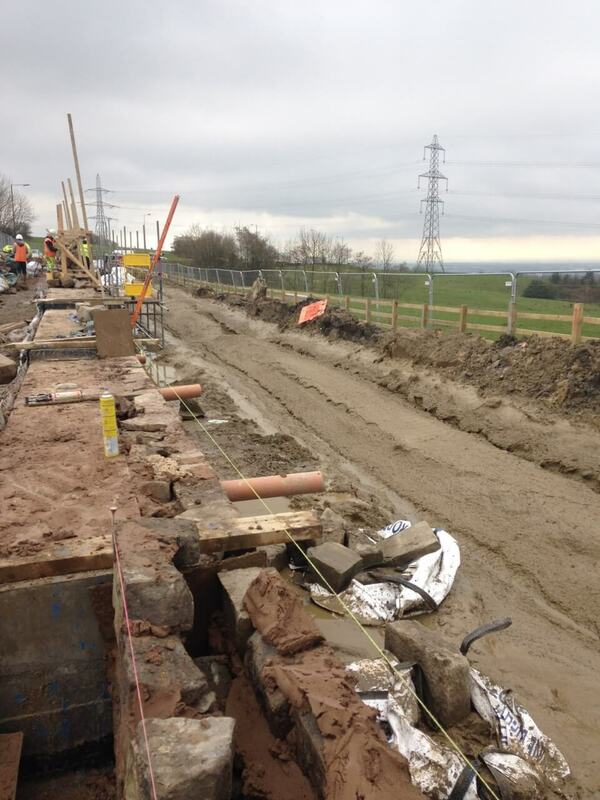 Given the water issues on site the mass concrete retaining wall programme was affected however by working with the main contractor and rescheduling of resources the project was still delivered on time. Prior to commencement a detailed critical path was prepared and formed the basis of the work on a daily basis with easily measurable targets. Through setting out a detailed daily plan, labour resources were used most efficiently and management both on and off site was accountable. 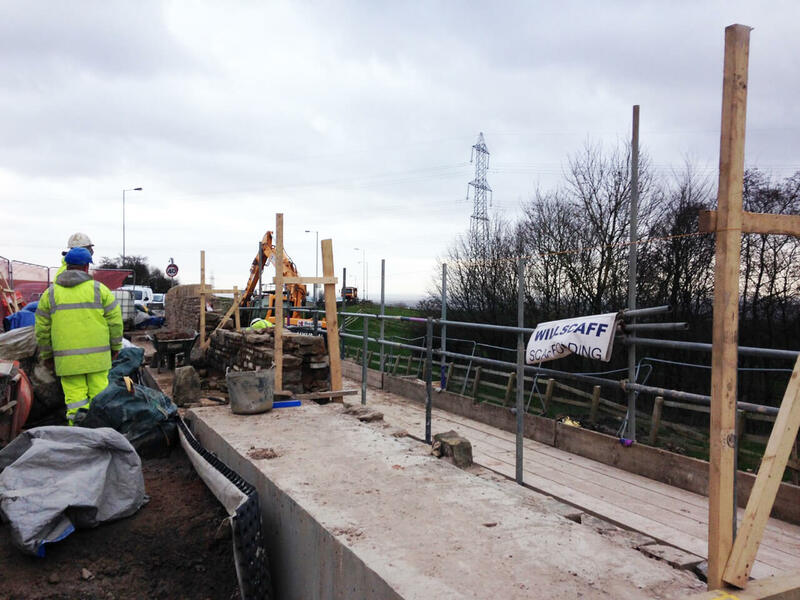 When the programme was heavily affected by the drainage issues on site, we changed the labour allocated to the site and later in the contract added much more resource still bringing the works in on the original timescale. The safe systems of work were developed with our health and safety consultant prior to commencement on site and were amended as required, with regular audit during the contract through site inspections.